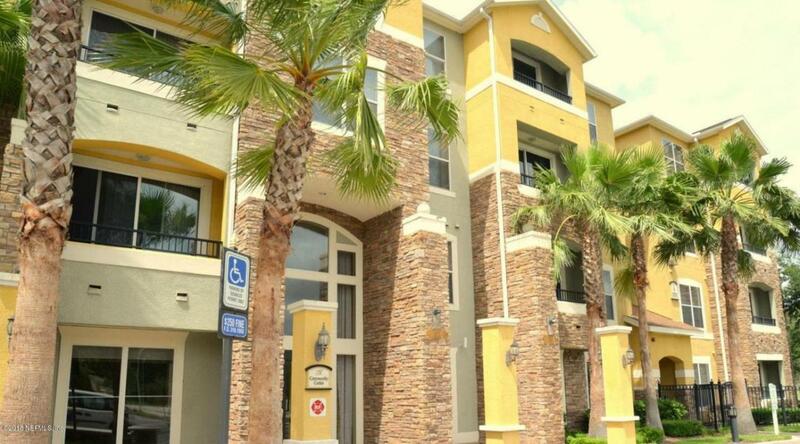 Third Floor Condo in Gated Community close to Tinseltown, UNF, and St. Johns Town Center with access to highway and to the Beaches!Amenities include pool, fitness center and clubhouse. Kitchen is equipped with granite countertops, stainless steel appliances, washer, and dryer. This unit is in the main building with an elevator nearby and a trash chute. Listing courtesy of O.H.M. Real Estate.